Today’s Tech Bytes episode explores the Link State Vector Routing (LSVR) protocol, an IETF draft standard that lets you use BGP to build a data center fabric. Our sponsor is Arrcus, and we discuss how LSVR works, including how it reduces resource consumption in routers and speeds convergence, and how it can be used with BGP EVPN. 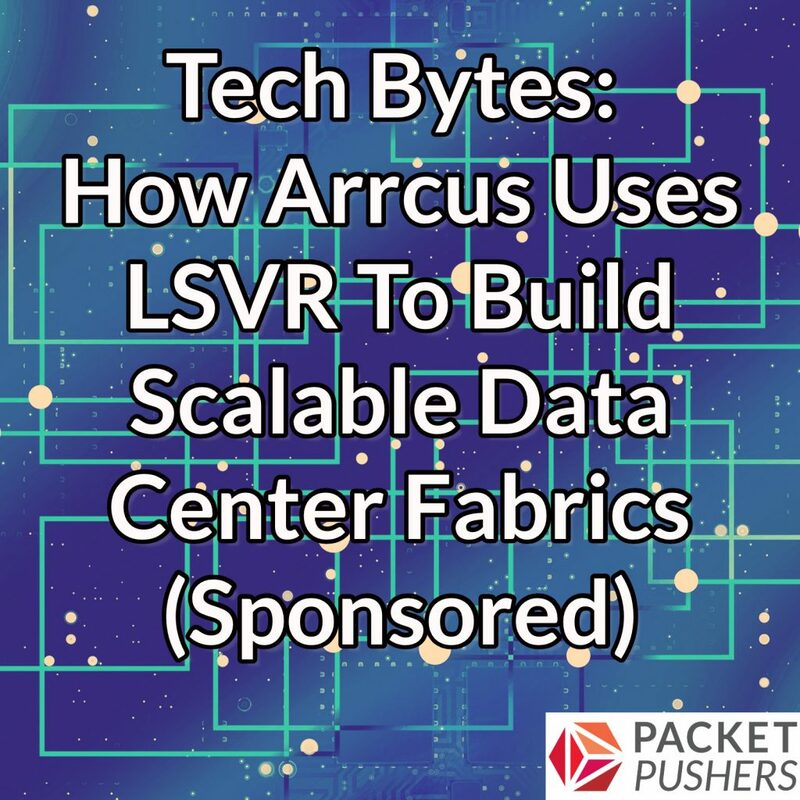 Our guests explain how LSVR ties to Arrcus’s ArcOS network operating system, what it can do for organizations building CLOS fabrics in their data centers, and common use cases. Joining us from Arrcus are Keyur Patel, CTO and cofounder; and Murali Gandluru, VP of product management and marketing.